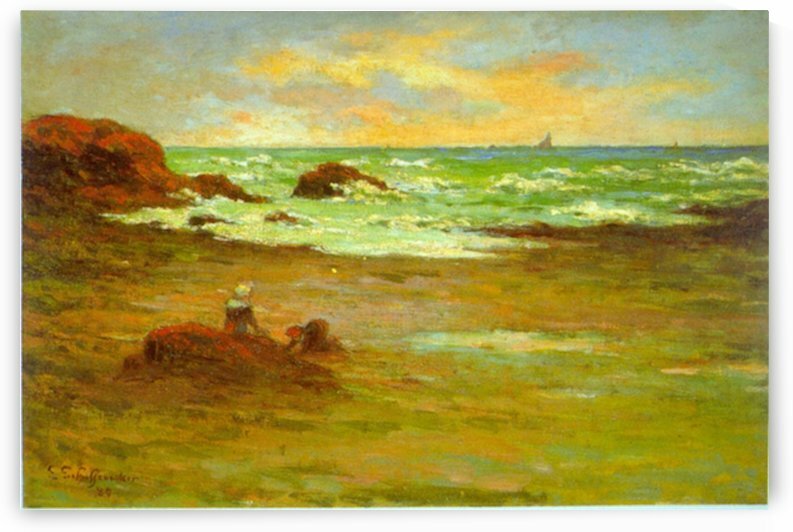 Émile Schuffenecker (8 December 1851 – 31 July 1934) was a French Post-Impressionist artist, painter, art teacher and art collector. A friend of Paul Gauguin and Odilon Redon, and one of the first collectors of works by Vincent van Gogh, Schuffenecker was instrumental in establishing The Volpini exhibition, in 1889. His own work, however, tends to have been neglected since his death—and even worse, recent season campaigns in the media have reactivated resentments virulent since the late 1920s, when Schuffenecker was suspected to have imitated the work of other contemporary artists, among them, Van Gogh. Still a contentious issue, it has not been established whether he produced forgeries. Meanwhile, serious scholarly research at least has provided the base for a sober art historical approach to Schuffeneckers life and work. Claude-Émile Schuffenecker, son of Nicolas Schuffenecker (1829–1854) and Anne Monnet (1836–1907) was born in Frèsne Saint-Mamès (Haute-Saône). His father, a tailor originating from Guewenheim (Alsace, today Haut-Rhin), died when Émile was little more than two years old; the same year his brother Amédée was born in Charentenay (Haut-Rhin). The widow with her two boys moved to Meudon, close to Paris, where part of her mothers family lived, and where she had found work at a laundry. In the years to follow Emile was raised by his mothers sister, Anne Fauconnet Monnet, and her husband Pierre Cornu in Paris, educated by the Frères des Ecoles chrétiennes, and started work in his uncles business, a chocolate and coffee-roasting facility in the Les Halles quarter.